Director Ivo van Hove has held central positions in Dutch-Belgian cultural life. He has been the general director of Toneelgroep Amsterdam since 2001. In 2015, van Hove directed Antigone co-produced by the Barbican and Les Théâtres de la Ville de Luxembourg, starring Juliette Binoche which toured to six European and four US venues. He is a regular guest director at the New York Theatre Workshop (Lazarus from David Bowie and Enda Walsh, Scenes from a Marriage, The Little Foxes, The Misanthrope, Hedda Gabler, Alice in Bed, A Streetcar Named Desire, More Stately Mansions), and has directed companies from the Deutsches Schauspielhaus in Hamburg (The Miser, Lady with the Camelias), the Schaubühne in Berlin (The Misanthrope, Edward 2), the Münchner Kammerspiele, Joop van den Ende Theater Productions (Rent), Theater der Welt (Faces) and The Damned at La Comédie-Française. More recently he has directed The Crucible (Broadway - Tony Award nomination) and A View from the Bridge (The Young Vic, West End, Broadway – Olivier Award, Critics’ Circle Theatre Award, Outer Critics Circle Award, Tony Award nominations). He has also staged opera for the Flemish Opera, De Munt/La Monnaie in Brussels and the Dutch Opera in Amsterdam. In 2014 he staged the world premiere of the opera Brokeback Mountain at Teatro Real. Van Hove’s numerous awards include two Oliver Awards (for A View from the Bridge), the Drama League Award (The Founders Award for Excellence in Directing), two Obies (for More Stately Mansions and Hedda Gabler), the Flanders Oeuvre Prize, the Archangel Award at the Edinburgh Festival, the Prosceniumprijs - the Dutch oeuvre prize, with Jan Versweyveld - , the Amsterdam Business Oeuvre Award, and the Amsterdam Prize for Art. 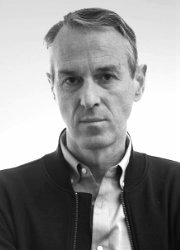 In 2014 Ivo van Hove received an honorary doctorate for general merit, from the University of Antwerp. He was made a knight of the Ordre des Arts et des Lettres in France. Most recent directing for Toneelgroep Amsterdam includes Rocco and his Brothers by Luchino Visconti, and Teorema, based on the work of Pier Paolo Pasolini; Antonioni Project by Michelangelo Antonioni; Cries and Whispers and After the Rehearsal / Persona by Ingmar Bergman; Summer Trilogy by Carlo Goldoni; Mourning becomes Electra and Long Day’s Journey into Night by O’Neill; The Fountainhead by Ayn Rand; three monologues (The Human Voice, Song from Far Away, The other Voice), and Mary Stuart by Friedrich Schiller. For his direction at Toneelgroep Amsterdam he also received awards for Shakespeare’s Roman Tragedies, Kings of War and The Taming of the Shrew, Tony Kushner’s Angels in America, Ingmar Bergman’s Scenes from a Marriage and John Cassavetes’ Husbands and Opening Night.